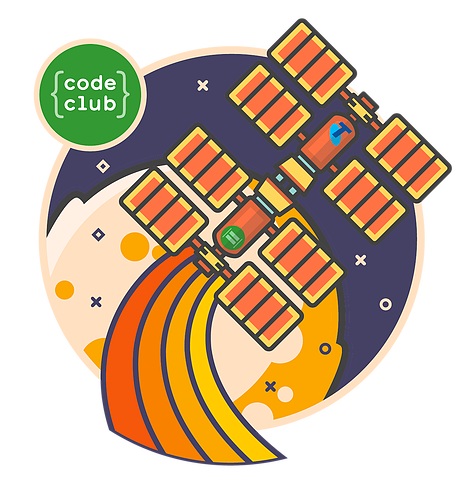 Code Club is on a Moonhack Mission and they need you to help them! Moonhack is a world-record-breaking coding hackathon for kids. Last year more than 10,000 Australian kids participated in this free event that this year is going global! From Sydney to Seoul, Dhaka to Durham, kids all over the world will now get the chance to collaborate and code. Moonhack is one small step for coding and one giant leap for digital literacy. Moonhack is being held on Tuesday 15 August during National Science Week and all are encouraged to get involved! The program engages kids with a fun coding project that teaches concepts of gravity, maths, critical thinking, design and coding. Diversity in STEM is important for innovation. It is said that in the future 75% of all jobs will require skills in science, technology, engineering and maths (STEM). If this is the case, then we need all students, no matter what their gender and age, to begin developing their skills and confidence in innovation and solving real world issues. Coding and computational thinking – or in other words, understanding how programming and computers work – are essential STEM skillsets. Through the newly introduced Digital Technologies Curriculum, the Australian Curriculum and Assessment Reporting Authority is now working to ensure that students across the nation learn coding. From kindergarten level, students will soon be required to learn concepts of coding. By year 6, students should have a good grasp of visual coding, or ‘block coding’ as it is called. They should have developed a simple confidence in simple algorithms (or computer programming instructions) and be creating animations, simple games or even apps using code. Boy, girl, geek or gamer, it’s important that everyone gives coding a go! Moonhack is an activity that everyone who works with children in Australia can commit to in order to develop some understanding and confidence around coding. Moonhack provides coding projects for everyone from complete beginners to advanced Python users. Log on to Moonhack.com and choose the projects that best suit your needs. All Moonhack projects are open source, which means they are free for anyone to use. Coding whizz kids can freestyle and submit their own coding project so long as it has a Moon theme. How do the Moonhack Projects Work? In 2017, Moonhack projects are available across three different coding platforms appropriate for all skills levels. Projects for Scratch and Scratch Jnr focus on creating an animation that shows the difference between jumping on The Earth and jumping on The Moon. The Python Project challenges students to make some choices while on a mission to the moon. All projects will take between 30 – 45 minutes to complete and come with step by step instructions and worked solutions. Visit the Projects Page on the Moonhack website for more information. Share photos of your Moonhack events via our #moonhack and #getkidscoding tags. Give your students a computer or tablet, the curriculum for their project and let them Moonhack! Submit your projects to Moonhack.com from 15 August onwards. If you are not quite sure where to start, or don’t have the confidence to code yourself, there is a short Facilitator Guide available on the website’s Get Ready page to help you plan and prepare for an awesome and fun event in your space. There’s even step by step tutorials to help you complete projects yourself. If you aren’t meeting with your little (and big) coders on the 15 August, you can still participate by completing the project in advance, then uploading the links to the Moonhack site on the 15 August? Register now and be part of this world record breaking Moonhack! Guest post by Pip Cleaves, the National Education Manager for Code Club Australia who’s on a mission to help kids to code wherever and whenever they can.